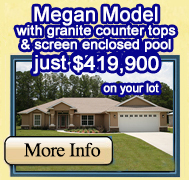 Custom Home Builder in Dunnellon Florida and Citrus Springs Florida. Community Builders, Inc. is a 3rd generation, family owned and operated business established in 1972. 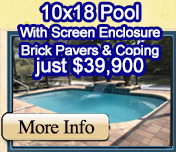 We are a custom home builder that also builds pools, garages barns, additions and commercial buildings. Our philosophy is to treat every construction project as if it were for ourselves! We use only the highest quality, energy efficient construction materials and only licensed, highly skilled and experienced trades people to build your custom home, pool, garage, addition, remodel, barn or commercial construction project. 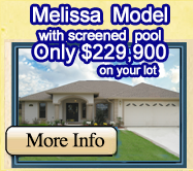 Community Builders is also very proud of the fact that we build our own pools to our own high standards, they are not subbed out to other companies like many other home builders do. Although our offices and model are located in Dunnellon Florida, we build in Citrus, Gilchrist, Hernando, Levy, and Marion County. Our photo gallery will display the results and the many satisfied clients through out this area. Community Builders, Inc. is licensed & insured and always offers personal and professional service. Most of all, we LOVE what we do and it shows! 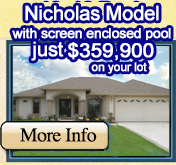 90% of our business is referrals from our happy home & pool owners. Contact us today if you would like to be one too. Community Builders Inc. is the Best !!! They do what they say! We would use them again. Hopefully soon for a shop project we're going to have built. We have heard lots of scary stories from people about building new homes. We are very happy we went with Community Builders, Inc. for our new home & pool. I would recommend them highly and the girls are just dolls. We chose Community Builders because they are a family owned business, are established in our community and were highly recommended by friends. So far they have built two homes for us. During both constructions, we appreciated Community Builders staff for their ability to communicate clearly and work closely with us. Highlights of our experience are excellent and thorough written contracts, very helpful suggestions and problem solving skills, accurate cost estimates, and the job on schedule. Community Builders provides fine craftsmanship and quality work. They have made our dream homes a functional, beautiful reality.